Passive Infrared (PIR): This type of sensor will be familiar to many as part of automatic lighting and alarm systems that detect movement. They’re normally made as small components with two sensing elements inside. When they sense a change in radiation in the surrounding area, this information is passed to a security system or other device. While the sensing element is something of a commodity, what sets different devices apart are the lenses used to focus the surrounding area into different segments, allowing for a wide range of monitoring capabilities. Inertial Measurement Unit (IMU): If you want to track how something is moving, IMUs fill this role quite well. In the case of the popular MPU-6050, it packages both a gyroscope and accelerometer in one unit, allowing devices to respond to movement. Some devices integrate magnetometer (compass) into the unit as well, providing absolute orientation with respect to the earth’s surface. Temperature Sensor: Temperature is inextricably linked for human comfort and even storage of some foods and other goods. So, measuring this is an important IoT function. This can work via a thermocouple method where a voltage is generated by two dissimilar metals or via a thermistor. A thermistor is a resistor that changes properties based on temperature. Magnetic Field Sensor: While instances where you need to sense a magnetic field simply for its own sake are rare, embedding a magnet in equipment to facilitate sensory input is quite common. Home uses include attaching magnets to windows and doors to sense when one has been opened, while they are used in industry to verify that manufacturing equipment has completed a task. Sensors can take the form of a reed switch where a magnetic force opens or closes a pair of contacts inside a specially designed component, or a hall effect sensor that measures a magnet’s effect on a semiconducting material. One advantage of a hall sensor is that it can output a digital on/off signal, or can be set up to output a voltage proportional to the magnetic flux density experienced. Load Cell: These sensors can detect force applied on an area, and are especially useful in industrial applications, where force applied to a part can mean the difference between a good product and one that doesn’t work. The most common device in use is called a strain gauge, where specially designed equipment measures the resistance of a material under load. Another method is known as piezoelectric load cell, where a material generates a voltage when deformed. One challenge with piezoelectric cells is that they only generate voltage when deformed, meaning this effect can’t be measured after the initial deformation. Microswitch: Though we might not think of a microswitch—or any switch—as a sensor, these small mechanical devices (also known as snap-action switches) have been around since the 1930s and operate in such diverse modern technologies as arcade game buttons to automatic stops on CNC equipment. These switches use spring force to snap back to an original position when not depressed, and allow current to flow from a common connector to one of two outputs depending on the actuator position. While newer sensors have their advantages, this tried-and-true sensing method will be employed well into the future. Sound Sensor: Sound has been used to transmit information throughout human history, and with the invention of the electronic microphone in the late 1800s—converting sound energy to mechanical motion and finally to electrical signals—this information could be recorded and transmitted. Now using increasingly powerful computers, microphones can be used to accomplish everything from coordinating lights with sound volume, to answering queries via smart devices like Amazon’s Alexa or Google Home. As speech recognition technology continues to advance, we could see this sensing method become more and more common. Machine Vision: When we observe the world around us, no sense gives us more immediate information than sight. While our eyes do an amazing job at focusing on objects and absorbing light, the real trick lies in our brain’s ability to translate these blobs of light into something meaningful in our lives. When Cognex, a leader in machine vision, first started in the early 1980s, they celebrated when their prototype system could read the number “6” in 90 seconds. Now the company claims equipment capable of millisecond character reads—an increase in capacity of nearly 100,000 times. While this technology has leaped forward in the last 35 years, recognizing shapes, faces, and doing dimensional measurement, being able to understand what a picture truly means is still in its infancy, and will be the subject of research and advancement well into the future. It will be exciting to see where IoT sensing technology takes us in the near future. Using microfabrication techniques, systems like an IMU that would have taken up significant space in years past can now be fit onto a single chip, allowing them to be embedded in more and more devices. Processing power to interpret input from the chips has increased exponentially, and the wireless technologies like Wi-Fi, Bluetooth and cellular data transmission have also advanced, allowing them to relay information to “the cloud” from nearly anywhere. Clearly our world will become more and more connected, hopefully leading to a bright future…or at least one where your sensor network prompts you to bring your umbrella when needed! Zach Wendt is an engineer who enjoys writing about new technology and its impact on applications. 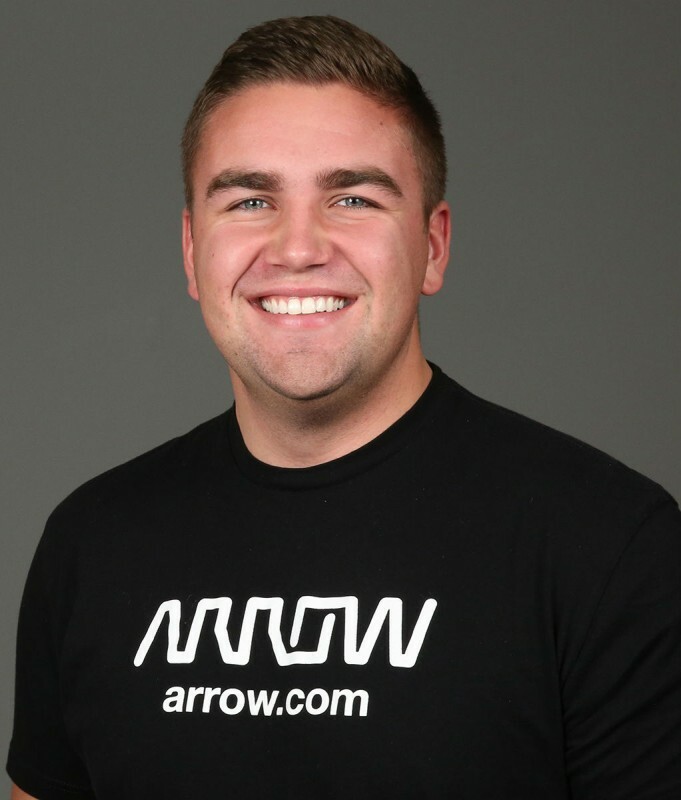 Zach has a background in consumer product development and writes about sensors and other electronic components for Arrow Electronics. This entry was posted in CC Blog, Tech The Future and tagged Arrow Electronics, inertial measurement unit, Internet of Things, IoT, load cell, machine vision, magnetic field sensor, microswitch, passive infrared sensors, sensors, temperature sensor, thermistor, thermocouple by Circuit Cellar Staff.